Developing fifth-generation wireless technology (5G) is now a strategic move for big players in the telecom communications and technology infrastructure battle. 5G offers billions of bytes of data per second and is 100 times faster than 4G and also promises fewer lags. Apart from upgrading existing tech services such as driverless cars, monetary transactions and more, 5G will also widely influence human society and mass behaviour. If 5G successfully integrates with blockchain as well as other AI and automation technologies, human relations with technology and the world will very likely shift to a new stage. This also means that the first company that enables 5G in multiple real-life scenarios and commercial situations will not only lead the industry and help set up standards, but will also have increased bargaining power that it can use to negotiate with world governments and other powerful parties on the uses 5G as well as all derivative services built on it. However, behind the exciting technology that aims to help people experience and understand the world, 5G is afflicted with technology’s illness: monopoly and politics. Big players with technology and financial advantages, as well as policy support, will likely lead the field in this sector where only the first and strongest is allowed to survive. 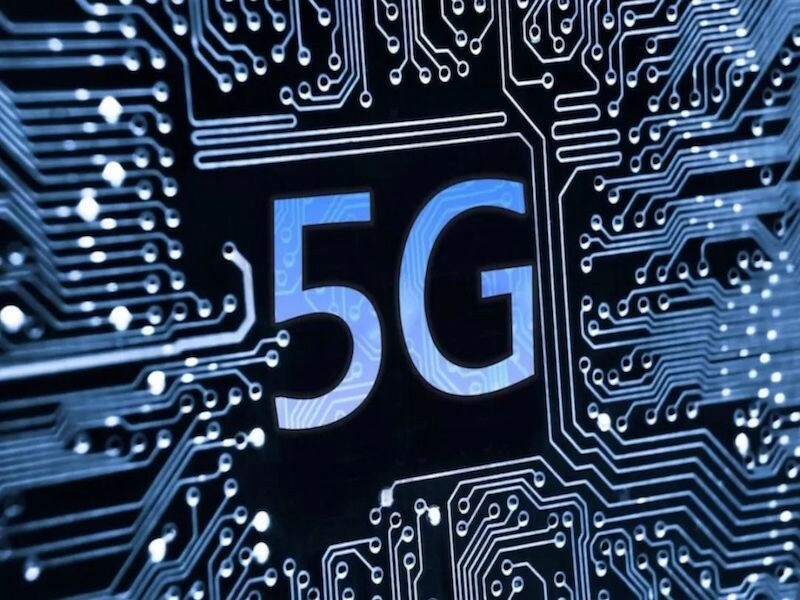 The two major 5G development leaders, Qualcomm and Huawei, are currently carrying the hopes of two major 5G race participants: the United States and China. Huawei and Qualcomm’s relationship vividly projects some kind of competition between China and U.S. Qualcomm is still a major player in the field. Nevertheless, with abundant technology resources in R & D and for simulations and testing, as well as huge policy support, China’s Huawei is catching up to Qualcomm and is considered a major threat. The recent tension stemmed from Huawei’s successful Polar Code proposal, a standard for short code programming that aims for better 5G coding infrastructure building and practice. On November 17th, 2016, Huawei received approval from the international standard-setting conference 3GPPRAN. During the same conference, Qualcomm’s LDPG, another coding standard for long code programming, was also accepted. While it is clear that the two approved coding standards aim for 5G improvements in different coding and framework conditions and that both Polar Code and LDPG were designed by experts long ago, it was a great achievement for Huawei, as well as China, to stand alongside Qualcomm in the coding arms race. Despite that many experts, including Huawei Vice President Hu Houkun, commented that the solution does not necessarily constitute an absolute technology breakthrough or competitive advantage, China’s mouthpiece People.com published an article titled “Superb! Huawei 5G leads the global industry.” The piece praised Huawei’s performance and also cited the company’s achievements in the Polar Code standard setting. At the end of the article, the reporter wrote, “according to Beijing’s strategic plan, China will launch commercialization of 5G by 2019.” This implies government institutions’ role in pushing 5G forward in China. Trump’s security team, on the other hand, sees building a U.S 5G network as an option. If this is true, political competition behind 5G competition will lead to divided 5G standards and networks that will create fierce competition to grab global markets and forge competitive alliances. The tensions stemming from 5G and mobile competition between China and the U.S. also extend to fields other than 5G. During the 2018 CES in Los Angeles, AT&T pulled out at the last minute from Huawei’s carrier phone business because the U.S. flagged several security concerns. Following the U.S., Australia made similar decisions targeting major Chinese phone makers Huawei and ZTE. The situation was exacerbated in the recent MWC as observers attempted to read the Chinese and American industry and policy directions that accompany technology achievements. While both Huawei and Qualcomm showcased new 5G achievements, state-owned China Mobile and China Telecom’s announcements of terminal buildings, city trial plans, and other cooperation with major world communications and hardware leaders including MediaTek seemed to have pushed Qualcomm into a corner. China is known to excel at top-down implementation and is planning ahead by setting up infrastructure for future scenario testing and commercialization trials worldwide. Then Huawei’s name appeared in letters wherein U.S leaders wrote that they were worried about Qualcomm’s position in China’s 5G rise. The word is spreading the word that China is very likely to be the international 5G leader. The Qualcomm-Broadcom merge has been aborted, but merges will not stop, as Intel is reportedly considering making a bid for Broadcom. Apart from absorbing core technology and forming alliances with potential competitors to reduce costs, Intel’s move implies that cooperation behind competition and competition behind cooperation will be dominant in the near future before mature 5G commercialization. Like 3G and 4G, 5G is a communication infrastructure, and its commercialization requires very comprehensive ecosystem integration and careful simulations and testing. This cannot be achieved by any single company. Even in the technology field, no one player can claim an exclusive position. In February, the market saw the success of Huawei and Qualcomm’s joint efforts in Interoperability and Development Testing, which is the foundation of the technology’s connection and mass implementation. Meanwhile, China and the United States are not the only players in the 5G battle. We expect Korea’s Samsung and various companies in Europe to also consider partnerships to combat leading players. Major companies and countries clearly understand that only by cooperation will 5G commercialization and mass dissemination be possible. Even as the technology’s matures, governments will apply new protections to put up barriers for rival companies. During the early practice and commercialization stage, we will see more joint efforts aimed at gradually and genuinely landing the business. The 5G arms race is on. No one wants to lose, and no one will be able to play without forging monopolies and navigating politics.